Ultrasonic Pest Chaser: scare way all the rats, squirrels and other furry creatures…. Winter approaching, all the pests of the world would like to hibernate in my attic. And around the house, an increasing number of squirrels is feeding off the birds’ food. But hold, for every problem, there is an electronic apparatus that can solve it, it this case: an ultrasonic pest chaser. First of all, we need a random ultrasound signal generator. Tests have shown that frequencies in the 18 to 30 kHz range are best, and that not all animals respond to the same frequencies. So we need a cover-all solution. Furthermore, animals will get used to certain noises, even 105 dB ultrasonic noise. So we need to build-in some surprises. Sometimes, the machine will be quiet, then it will come up with all kinds of nasty sounds. Sure enough, at high level. 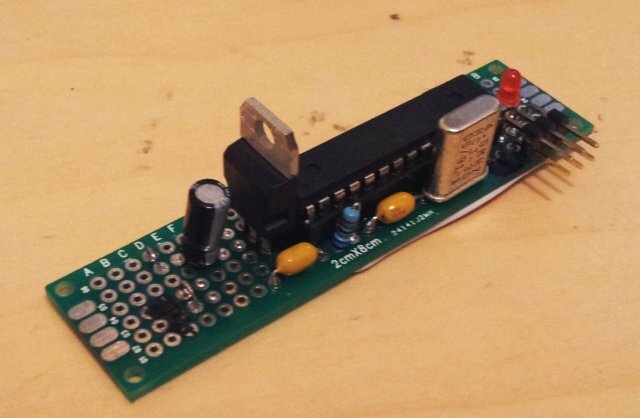 This is achieved by a little microprocessor, an AVR ATmega8, but you can use any micro of your choice. Please check out the source code – the sounds are generated by using certain pre-set sequences of breaks, durations and sound frequencies, and these are rotated in a repeated (but very long) pattern. The pattern won’t repeat to soon, because prime numbers have been chosen for the lengths of the sequences, thus, they appear almost random for the listener (only those with ears able to receive high frequency noises like this). There is also a LED indicator signaling the ON state of the ultrasound. Even if you can’t hear it, please stay away from the speakers – these >100 dB may damage your hearing without any prior notice. Keep children away. As always, this post is for your education only, don’t try it at your home!! 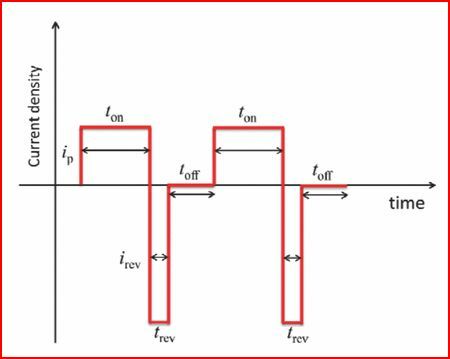 The signal generator schematic is as simple as it gets – frequency is derived from a 4 MHz crystal, via TIMER1 of an ATmega8. Some auxiliary circuitry is used to derive a 5 VDC rail from the supply voltage (anywhere from 10 to 30 V, depending on the speaker). 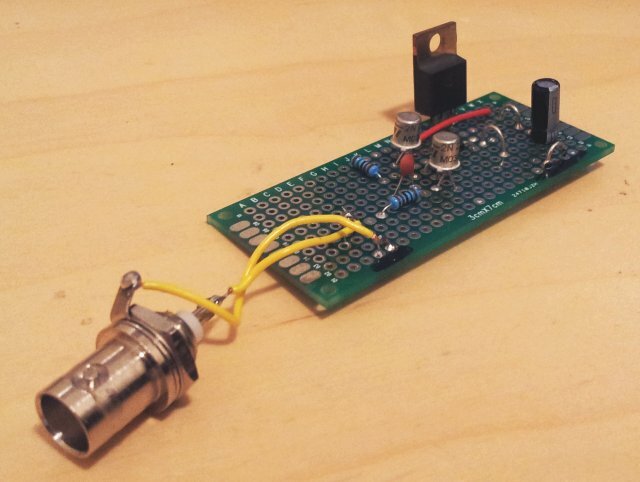 The power driver uses two NPN transistor and a MOSFET to provide sufficient current for the speaker. The speaker, some are under test, more about them later. Piezo high frequency speakers are the speaker of choice for this application. Some pictures of the boards – all build on plated-through FR4 perf board, this will last a long time even when use outside. A test, using a 10 Ohm load resistor, and a 40 kHz drive signal. The MOSFET is switching nice and fast, no issues. 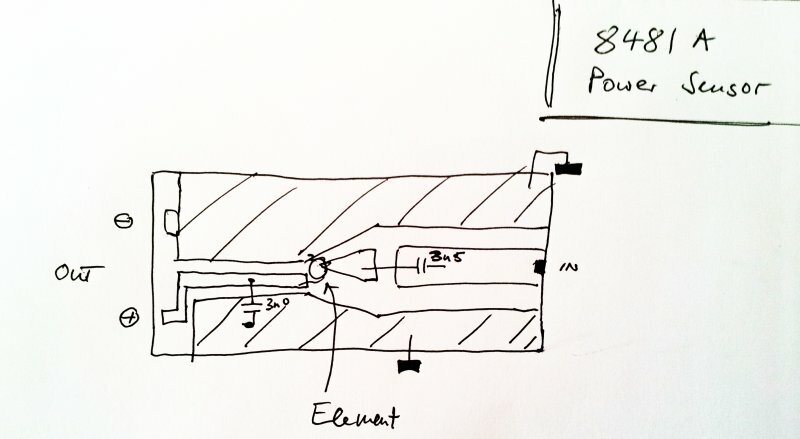 For the speaker, it might help to couple the (capacitive) piezo with a suitable inductance, and to add a DC decoupling capacitor (about 1 µF, pulse resistant type). 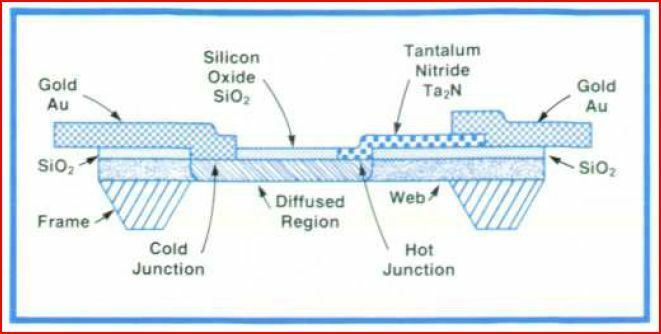 You can see that the resistance of the MOSFET in ON state is about 1 Ohm, current is about 1 Amp, for a 12 VDC supply voltage – and 0 V is one graticule up from the bottom of the scope. 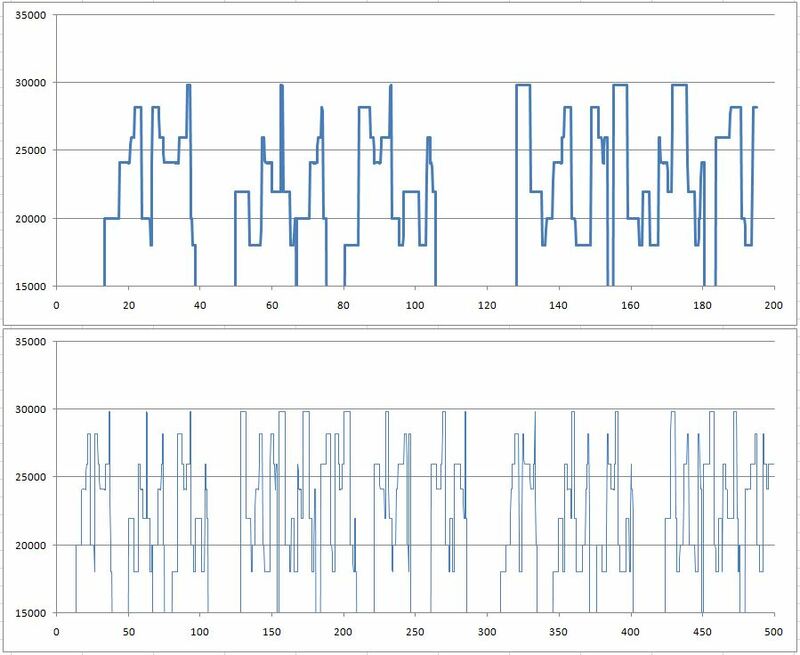 Finally, a test of the circuit, frequency (Hz) vs. time (seconds). This nicely shows the “random” nature of the noise, with breaks of various lengths in between noise bursts. Poor squirrel, poor rat – but they have a choice: keep out of harm’s way, and out of the attic! This is the microprocessor code, avrgcc. Quite honestly, I don’t like these compact fluorescent lamps (CFLs) too much. They save energy, maybe, but the light produced is not really appealing, and in the long winters here, some extra heat produced by an ordinary light bulb is much appreciated anyway. Having a few defective CFLs around, I could not resist to open one up and check inside. 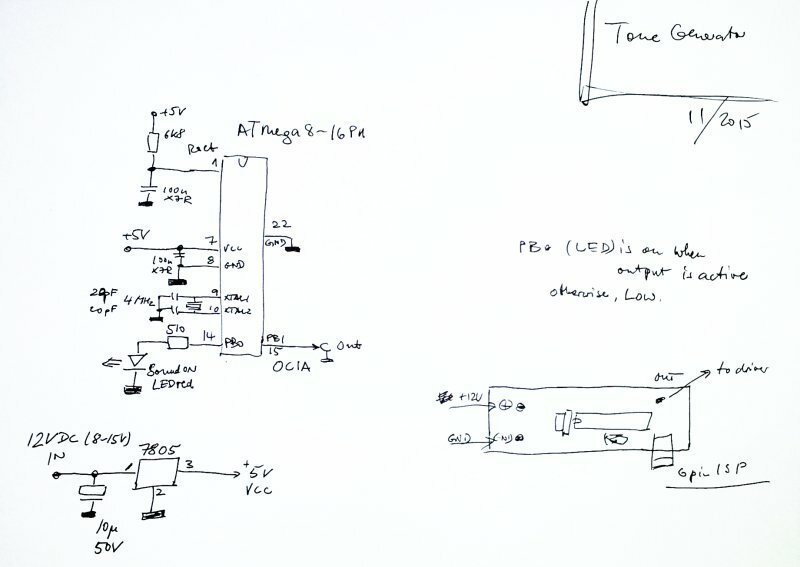 That’s the schematic. 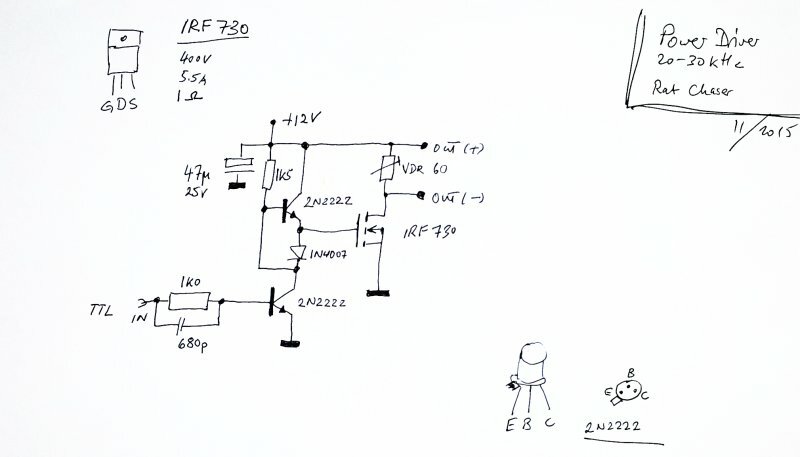 More can be found at other sites, this is quite comprehensive: CFL Schematics (LabKit). 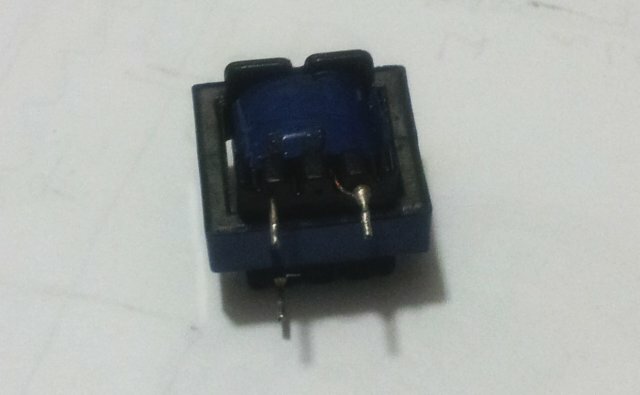 The circuit uses a rather small ring core transformer, two primaries, for feedback, 3 turns each, and a secondary, 9 turns. Two transistors MJE 13003 (in TO-92 package) are arranged to form an oscillator circuit. These transistors can handle 600-700 V no problem. 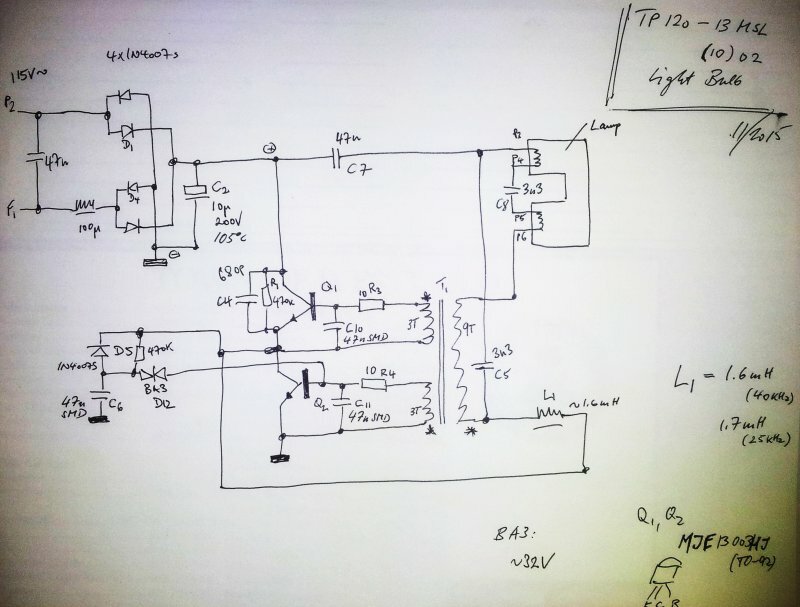 The DIAC (BA3) forms the starter circuit, giving a first few pulses to the oscillator, when the lamp is still high-impendance (prior to ignition). 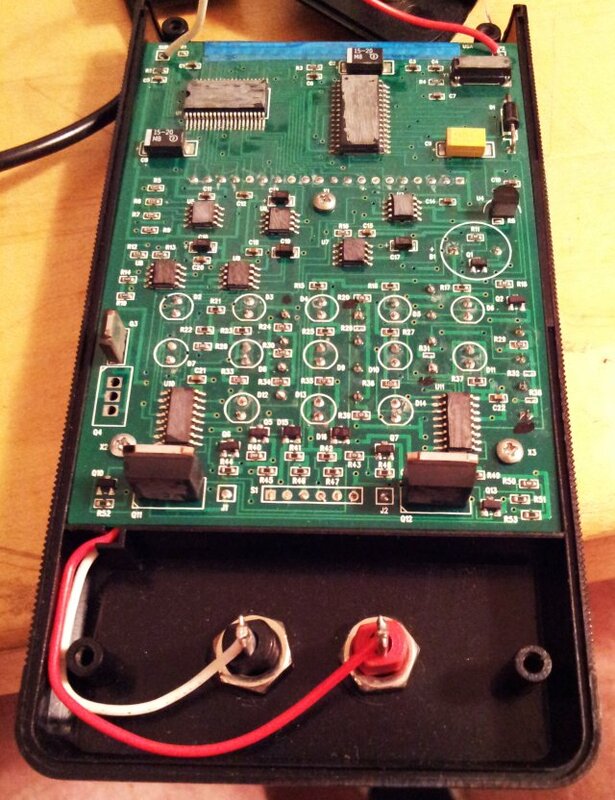 Once the lamp has started, the D5 diode will disengage the start-up circuit. 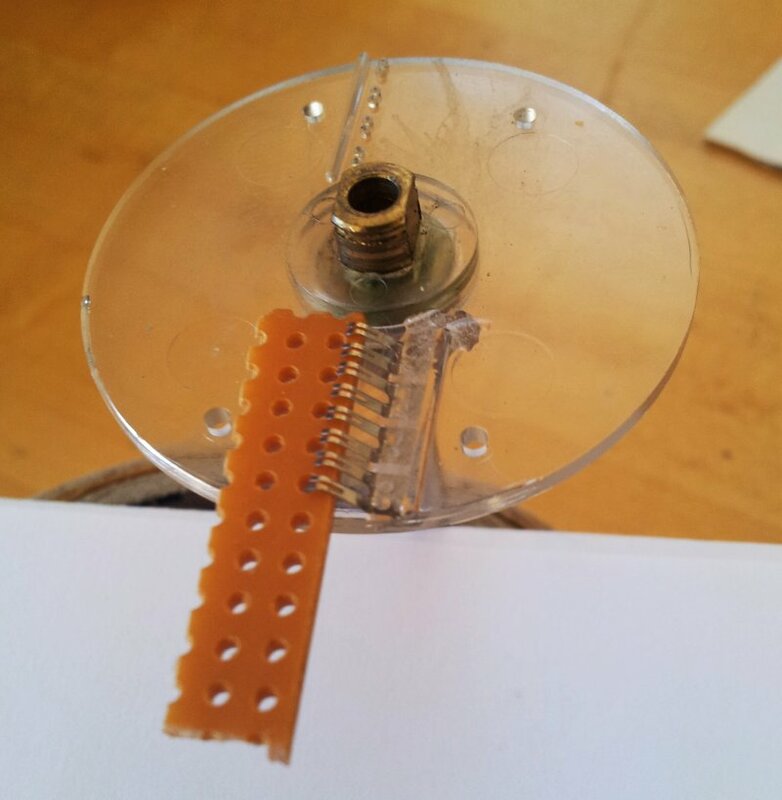 Below, wrapped in blue tape, and with an E-E ferrite core, that’s the choke, about 1.6 mH inductance, which is part of the lamp’s resonant tank (along with C3, C5, and the secondary transformer – and C7, which will play a minor role, because of its comparatively large value). A very common fault for the 8569B (and 8565A, 8569A) are defective front panel assemblies because of missing or broken contacts. 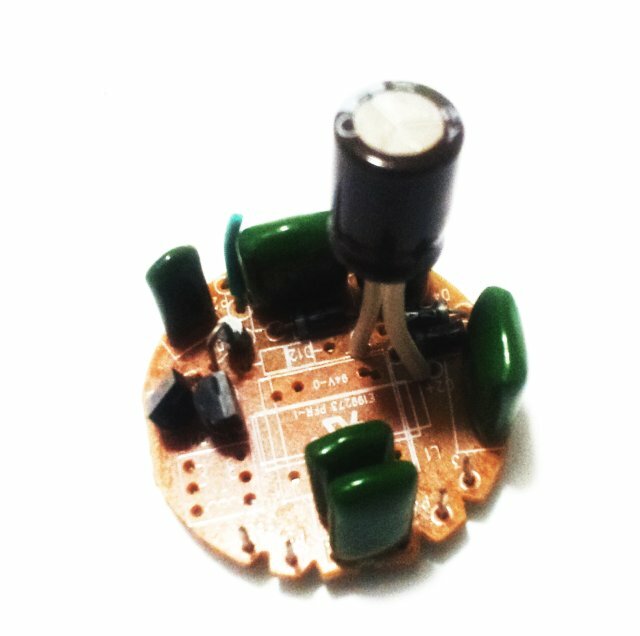 One particular case is a broken input attenuator switch assembly contact, for the manual/variable attenuation level encoder. 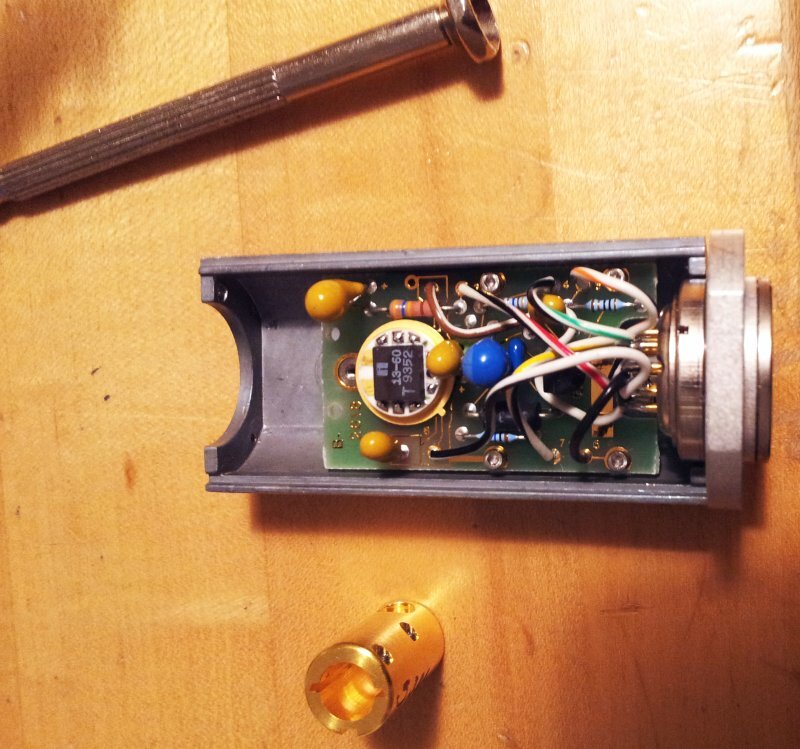 This variable attenuation adjustment actually uses a potentiometer (green part), and this mechanically coupled to a BCD encoder, formed by a few contacts and a gold-plated circuit board. 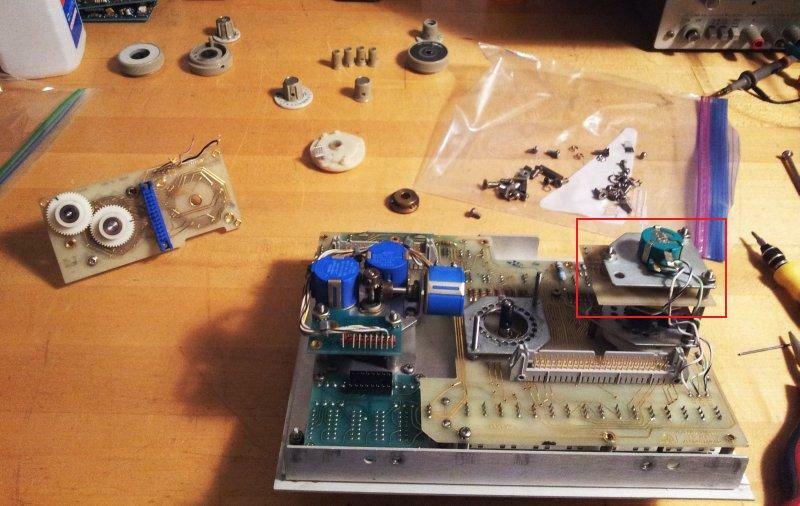 This repair is part of a re-assembly tasks – a gentleman out there had disassembled the switches, and I promised to help out with the re-assembly. But as often, things are a bit more difficult than they first appear, and it turned out not to be only an assembly job, but a repair job. One of the contact fingers is clearly not making any contact to the circuit board. 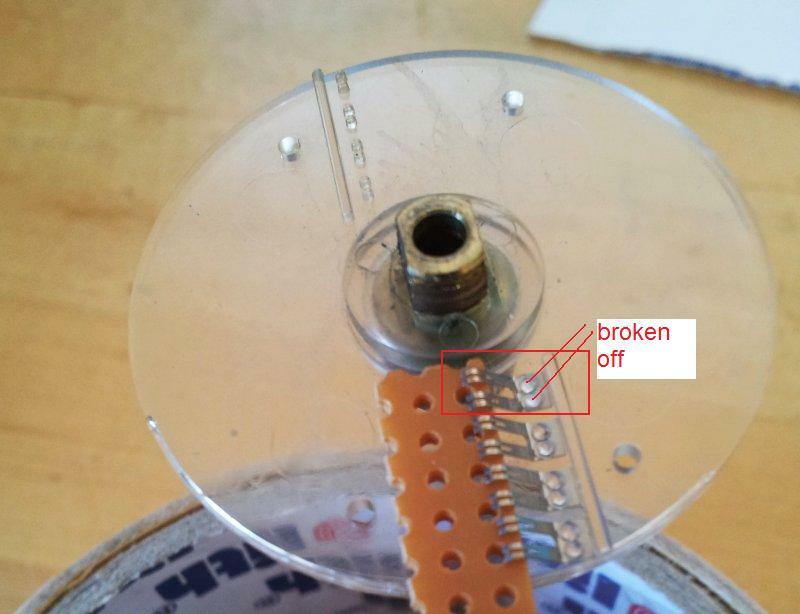 To fix, just support the contacts with a piece of circuit board, or other plastic or metal sheet of adequate thickness. Then, using 2-component epoxy glue, apply a good amount along the section holding down the contacts. with some contacts still properly mounted, this will hold down the others, for a lasting repair. Sure, you can also use a small amount of JB Weld or similar compound, but I would always advise to apply it evenly over all contacts rather than just trying to fix an individual contact – this will provide added strength. Make sure to properly cure the epoxy before putting things together again. I usually let is sit for close to the heater for a few days. A rather rare guest in the workshop, a specialized power supply, for reverse pulse plating. 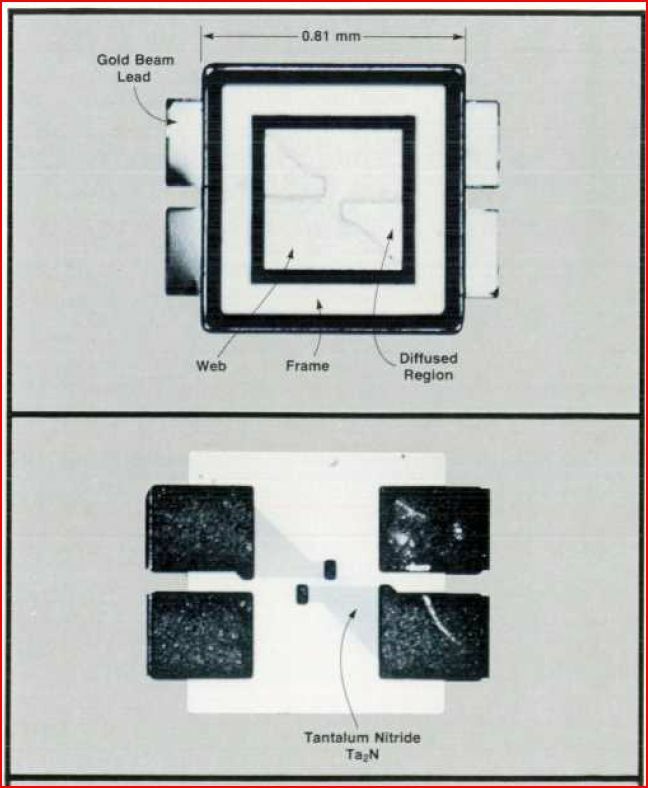 Most of these are huge boxes used in the plating industry, with current rated in 10s of Amps, but this device is made for the semiconductor field, for depositing metal on silicon, for MEMS (micro-electro-mechanical) devices, etc. 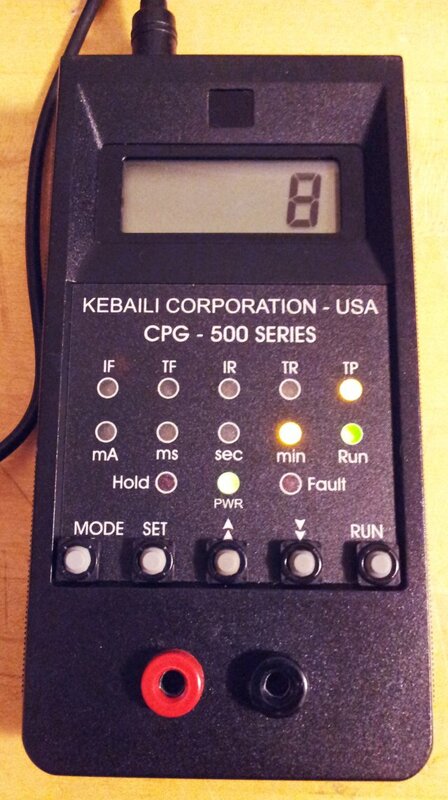 It’s a rather lightweight device, in a handheld case, powered by an external DC power supply. The internals show a construction which is more like a prototype than a fully engineered device. Epoxy glue is used to hold in the buttons, and Capton tape at various places. Well, some prototypes last forever, and it is certainly build to a good standard. The folks building it were very concerned about their design it seems, and removed all the marking from the parts used! Keep in mind, this is just a pulse current supply – why all the effort, and why make it so difficult to repair! Even more striking is the fact that the company manufacturing these is now out of business, with no information available whatsover, and no service provided (at least, I was able to obtain the user manual from the owner of the device). Please, leave the markings on the circuits, they are there for good reason – to let others fix the devices, when your greed and protective nature has ruined your business. 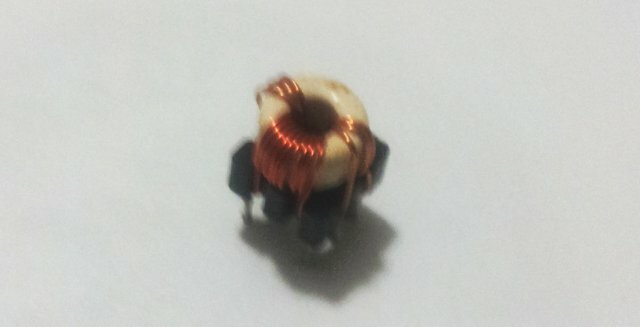 A few words about reverse pulse plating. 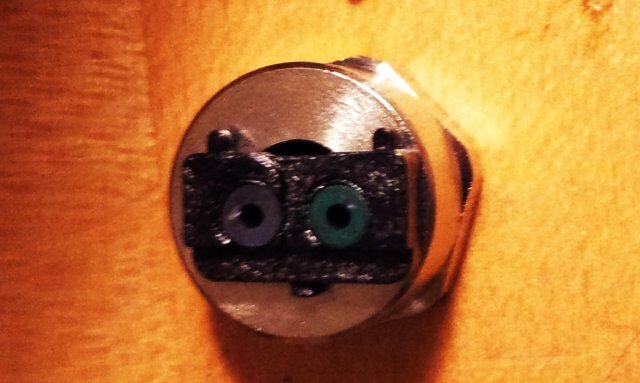 You all know the through-hole plated circuits boards, plated vias, etc. These are made by electrochemically depositing copper, a method which Faraday and others invented long ago, but only in recent decades refinements were made to the current profiles to get nicely through-plated (and also filled) holes. Being able to deposit copper in cavities of any shape, etched into other materials, opens up a tremendous number of applications (e.g., complicated patters can be etched into silicon using the well-established methods of the semiconductor industry, then filled with copped – after removal of the silicon by selective etching, the small copper parts remain, resembling all the detail etched into the silicon). 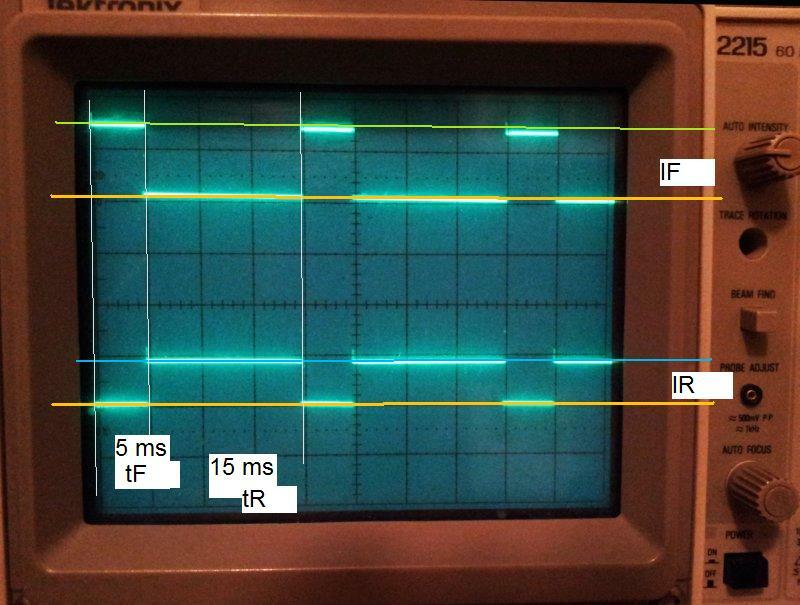 Here, the general pulse sequence: forward current pulse, reverse current pulse, idle time (no current). A plating example (not from my lab), (a) shows a not properly plated through-hole (cavity in center) resulting from conventional plating; (b) and (c) are pulse plated – one can see how nicely the copper is growing, even in the center. Needless to say, all can be adjusted by selecting the right mix of chemicals, and by optimizing the current levels and pulse duration for the desired results (filled hole, filled cavity, wall-plated hole, and so on). Typically pulse times are milliseconds. But can be 10s or 100s of milliseconds, in cases. The CPG-500 has 3 current ranges, quite a flexible device, to cover applications from micrometers to square centimeters…. resolution is about 1:4000, about 12 effective bit. After some repair, no spectacular enought to write about, these are the output signals. 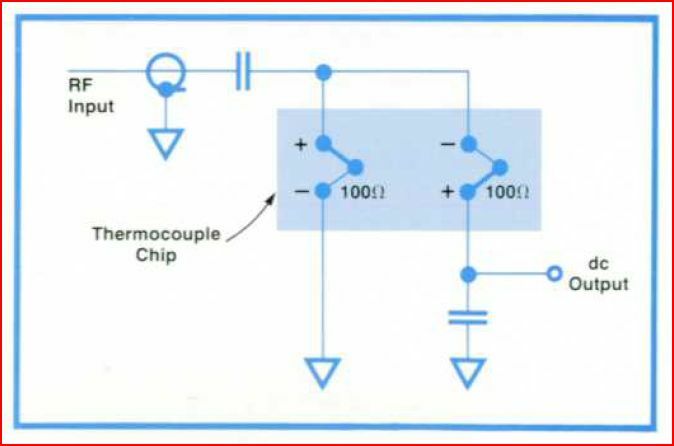 Pretty clear how it works – lower trace is forward current, upper trace reverse current – during operation, the current sources is switched from one output to the other and back, grounding one of the outputs at a time. 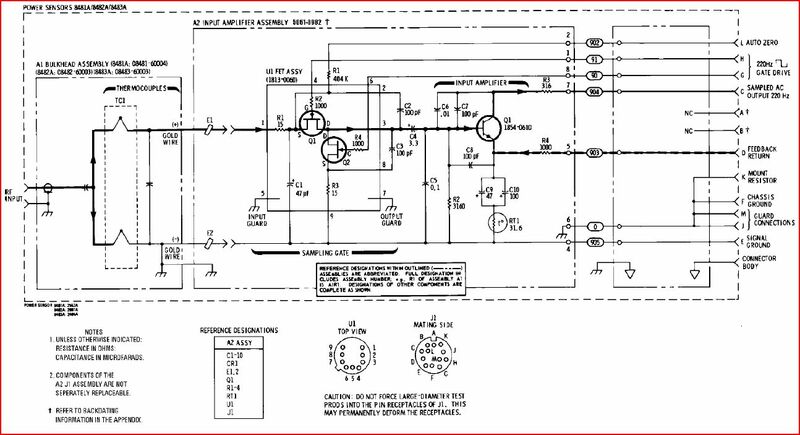 When switched off/when plating is finished, both outputs are switched off/high impedance, with no current flowing. Orange lines are 0 V ground potential of the power supply. Because of the way this bipolar operation is realized (by unipolar switching of current), probing the current requires a few tricks. 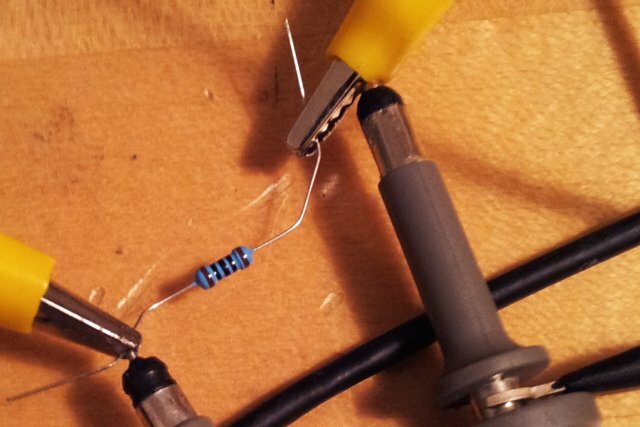 A 100 Ohms resistor inserted in the current path (in series with an amp meter), and two oscilloscope probes. 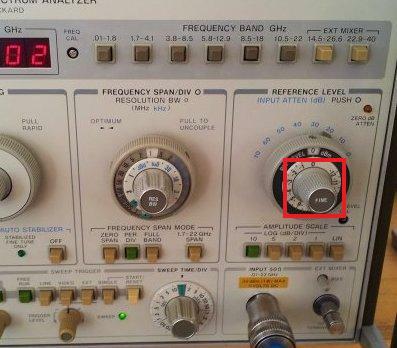 The scope is then used in ‘add inverse’ mode to subtract the two signals, resulting in the display of the actual forward and reverse currents, as one trace. 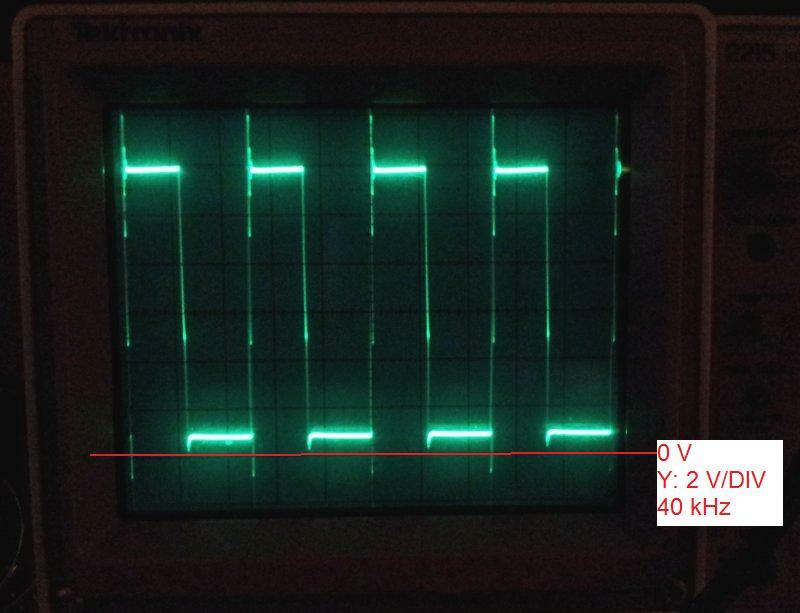 This is a quite typical waveform, the reverse current is 1.5-3x the forward current, at about 2-10% of the duty cycle. 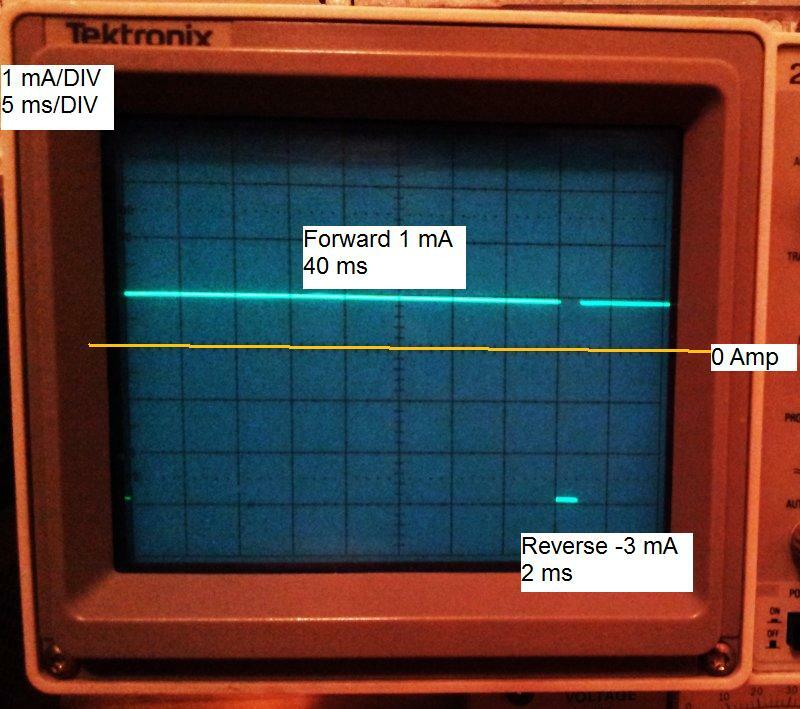 This example as 1 mA forward current, 3 mA reverse current, 40 ms forward, 2 ms reverse pulse (i.e., current ratio is 3, and time ratio is 20). 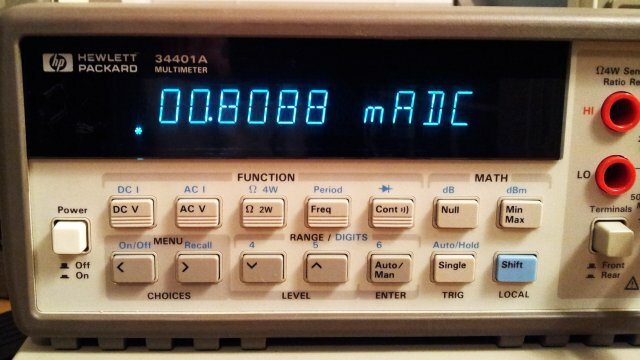 This results in an average current of (40*1-2*3)/42=0.8095 mA. An, not really surprisingly, this is what the amp meter shows. HP 8481A Power Sensor: why are they all blown? 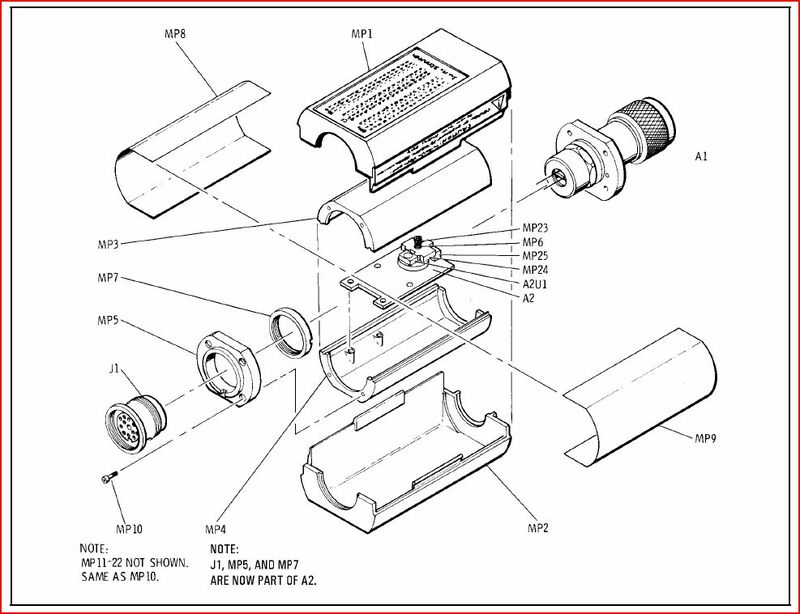 A remarkable HP product, the HP8481A sensor. It appeared on the market about 1974, and still today, these devices are very much thought after. 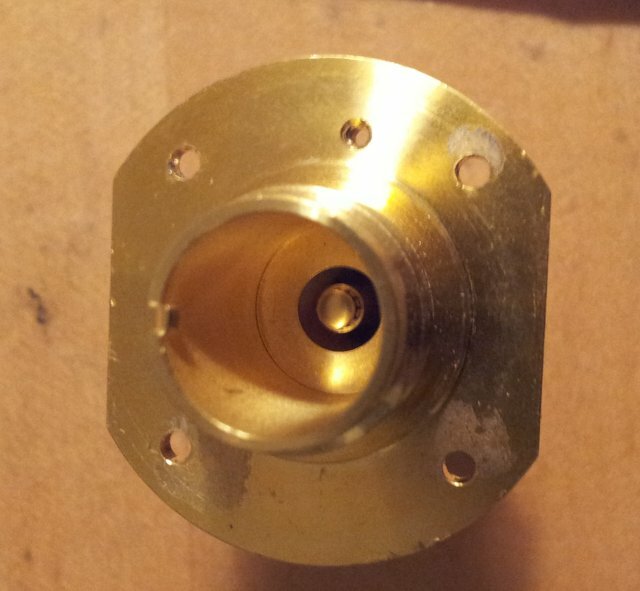 It works from about 10 MHz to 18 GHz, -30 to +20 dBm. 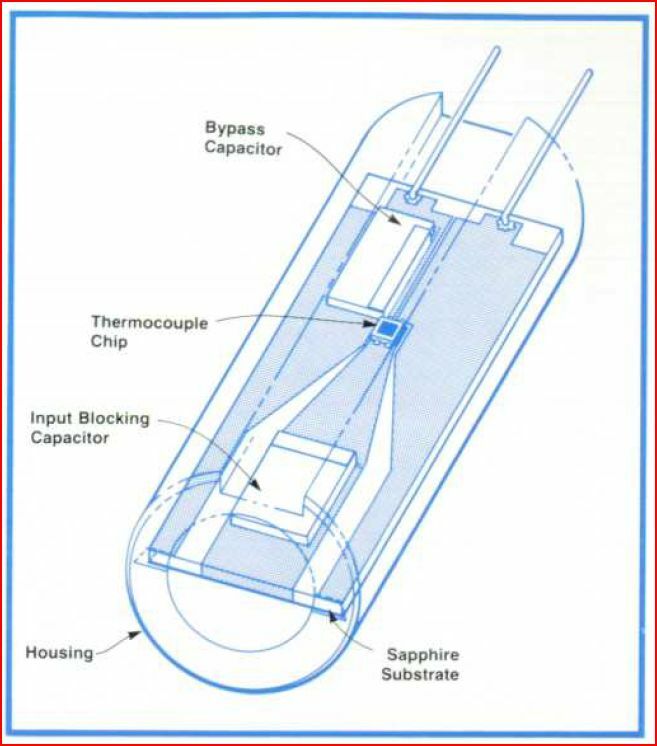 Quite some detail about this sensor can be found in the HP Journal, 1974-09 edition (pages 19ff). There is says that the sensor can withstand 300 mW power, and even 0.5 Watts for seveal days. Still, there are many sensors around that are blown – why do so many people connect them to 0.5+ W transmitters and destroy them along the way? I have no idea! Note the capacity values – measures: 3.5 nF at the input, 3.0 nF at the output. This is all real gold on sapphire substrate!